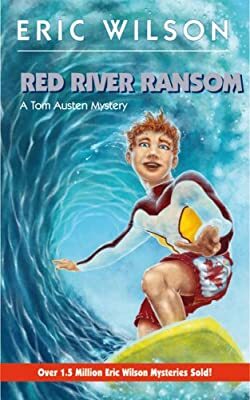 Amateur sleuth Tom Austen can’t believe his luck when his dad, an officer on the Winnipeg police force, is placed in charge of local security for Johnny Lombardo, Hollywood’s biggest child star. Not only does Tom get to meet the 13-year-old actor, he also gets hired as the star’s stand-in on the set of Kid Gangster, Johnny’s movie being shot in Winnipeg. But while Johnny’s a great kid, it’s clear to Tom’s detective mind that some members of his entourage are involved in shady dealings. Tom’s instinct proves correct when Johnny is kidnapped and held for $10 million ransom. Now Tom’s off to Hollywood—except his brush with acting turns very real when he finds himself in a life-or-death struggle to rescue his new friend.